Today is February 1st and there are just two more weeks until Valentine's Day! 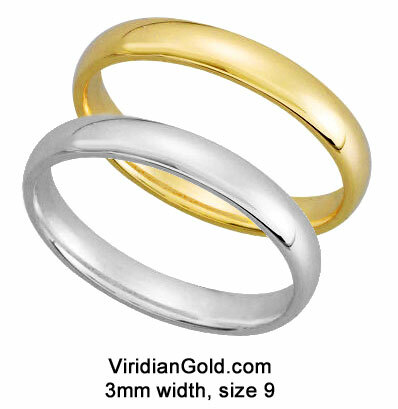 We at Viridian Gold are pleased to offer a wide selection of jewelry for your Valentine's Day gift for that special someone. We have also provided a 10% off coupon (expires Feb. 6) to help you with your shopping ~ the coupon code is VALDAY-10. If you are searching for heart jewelry, we offer a variety of lockets, necklaces and pendants, such as Offset Heart Locket #5058 or Amethyst Fleur-de-Lis Pendant #5022. 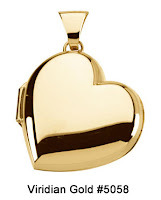 For further browsing, take a look at our 14K Gold Pendants or Heart Lockets, where you will discover large selection from which to choose. For a comprehensive view of sterling silver Valentine's Day gifts, see Sterling Silver jewelry. Looking for an inspirational Valentine's Day gift? Our Marriage, Family and Friends offers a collection of beautiful, meaningful jewelry in both 14K gold and affordable sterling silver, such as "Grow Old With Me" Necklace #2129, by designer Deborah Birdoes, or Mother/Child Cameo Heart Locket #5100. 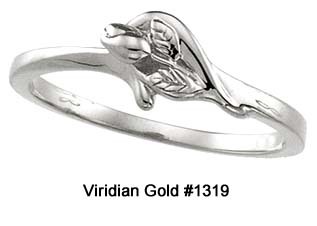 If an inspirational ring would be better, we offer a wide variety of cross and purity rings in both 14K gold and sterling silver, for example "Unblossomed Rose" Purity Ring #1319 ~ a customer favorite. If earrings are on your shopping list, choose from our selection of Hoop Earrings. Heart earrings? Check out our Petite Dangles #4168 in 14K gold and Victorian Style Diamond Heart Earrings #4343 in sterling silver. 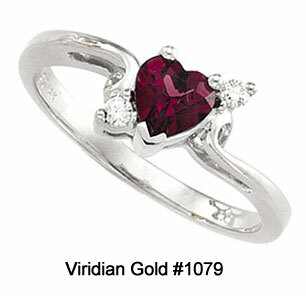 For beautiful jewelry to adorn you beloved's finger, see our Promise Rings, where you will find a selection of gemstone and diamond rings, such as this Garnet and Diamond Heart Ring #1079, pictured on the left. 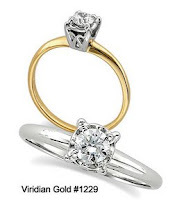 For further browsing, check out Gold Rings to discover a variety of styles, perfect for that special gift. February is not only known for Valentine's Day, it is also Chocolate Lover's Month, so before you wrap up your shopping, don't forget to browse through our chocolate pearl jewelry. Two lovely examples are Pearl Lever Back Earrings #4360 and 72" Pearl Strand #2040. Whatever the gift selection, we wish you success in your shopping. For assistance, please give us a call ~ we are always happy to help.